Will demonstrate integration between CRM and Share Point in Online 30 days Trial Version. Step 1: If you have existing CRM Trial 2013 or 2015 Online, then open Office 365 Login and provide your credentials. If not, create 30 days CRM Trial version. Click Here to create. 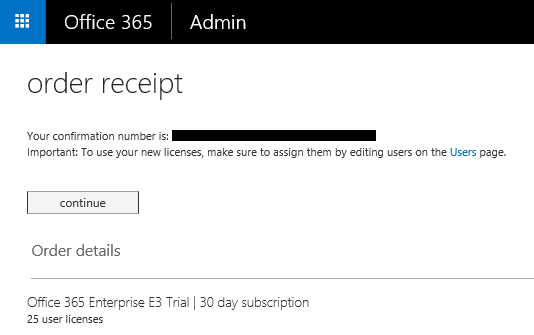 Step 2: Now will extend CRM Trial with Office 365 Enterprise E3 Trial, for Sharepoint with same Office account. 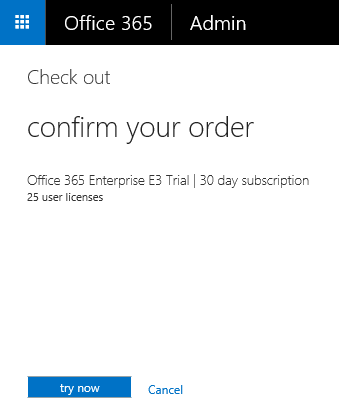 Step 3: You can see List of Enterprise plans, check for Office 365 Enterprise E3 and click on Trial. Click on Learn more to see the benefits that offered with Office 365 Enterprise E3. Step 4: Click on try now for 30 day subscription. Step 5: Once Subscription is placed successfully, you can see the below order receipt. Click on continue. 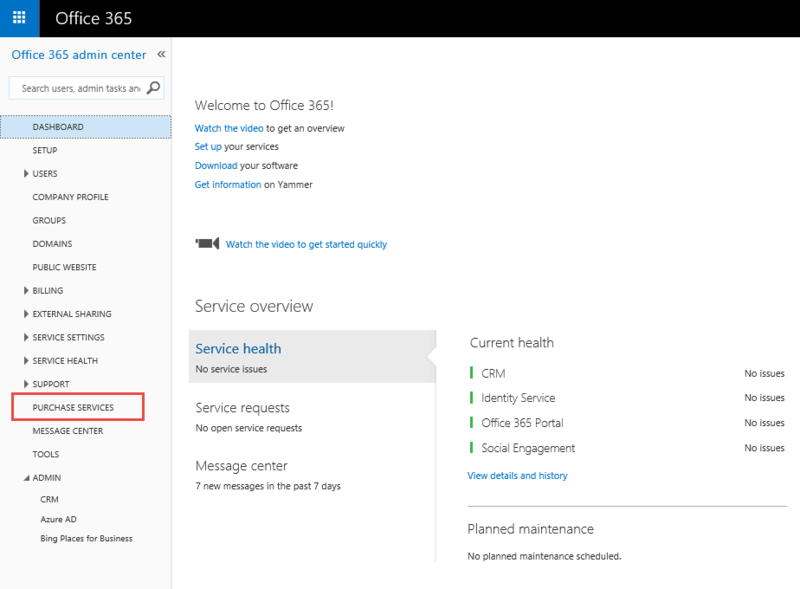 Step 6: Will take some time to reflect all the benefits offered with Office 365 E3 Subscription. 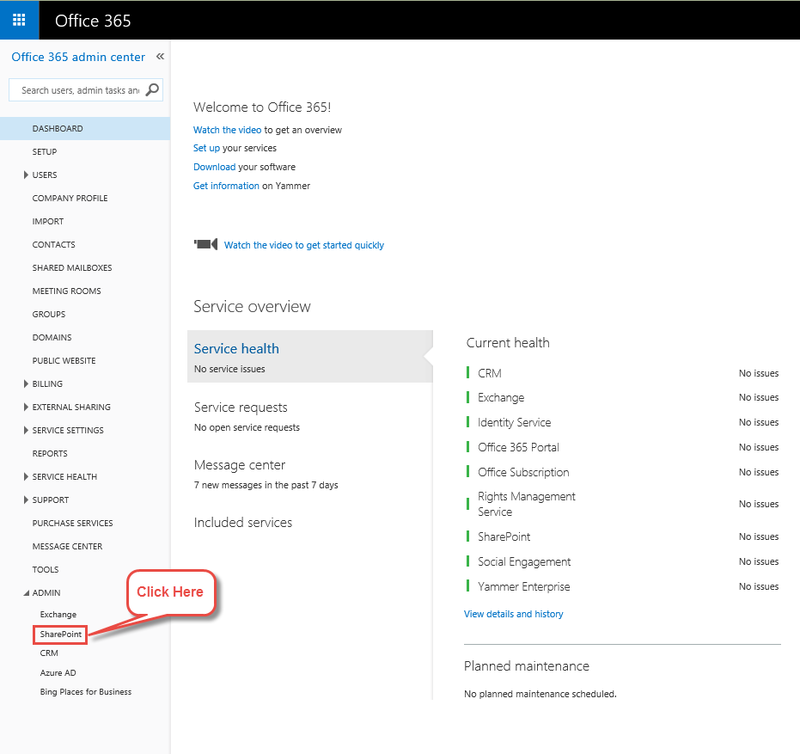 Once it is activated, you can see the below in Office 365 Login. 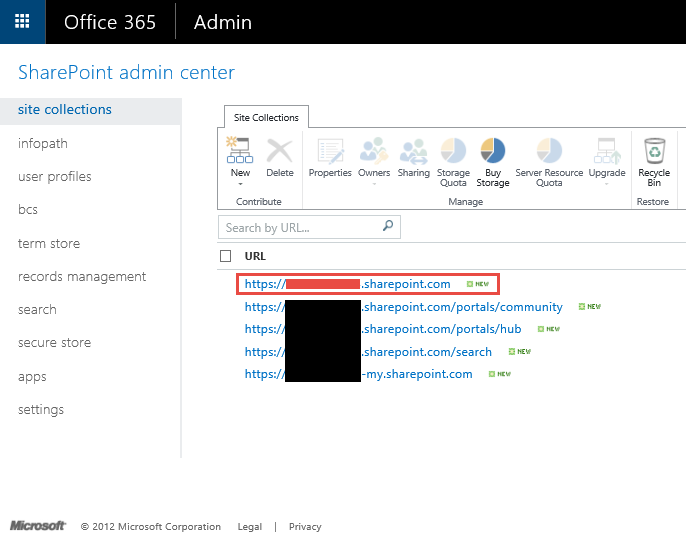 Step 7: You can see SharePoint admin center page, with list of URLs. Copy the first link as highlighted in the below screen. Step 8: We are done with SharePoint. 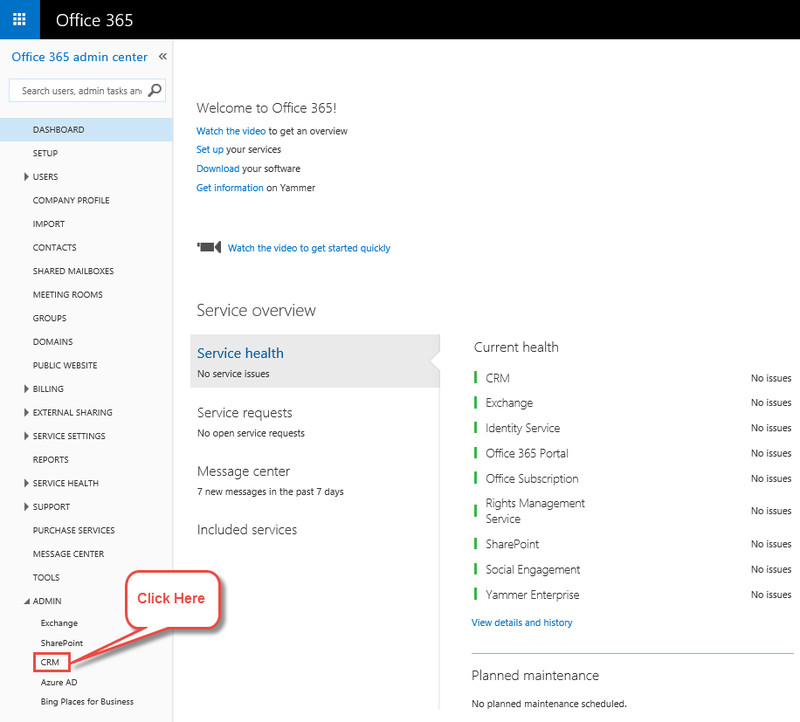 Goto Office 365 admin center and click on CRM under Admin Tab. Step 9: Click on OPEN. 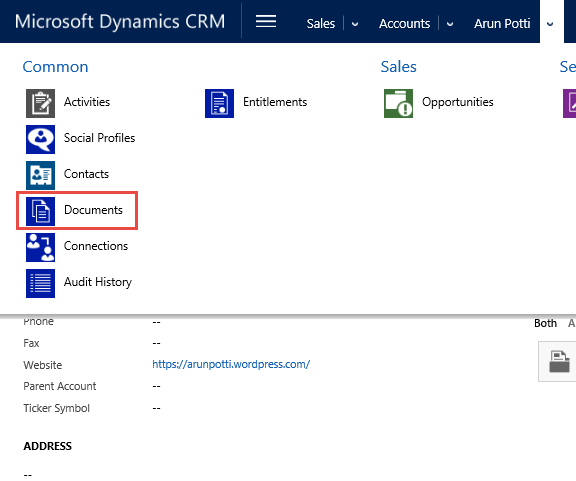 Step 10: Goto Microsoft Dynamics CRM –> Settings –> Document Management. 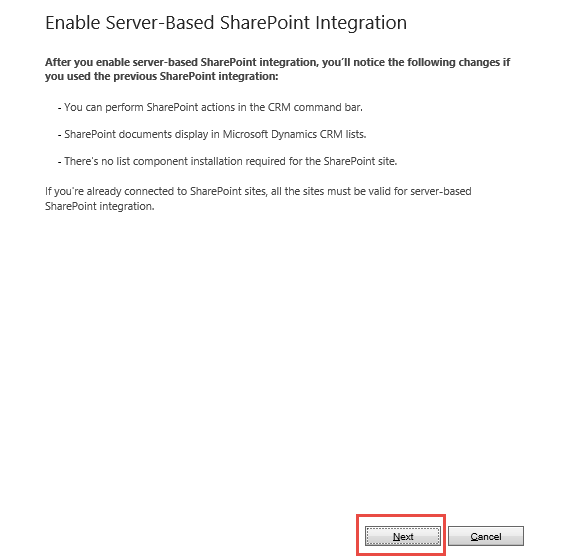 Step 11: Click on Enable Server-Based SharePoint Integration. Step 13: Select Online and Click on Next. 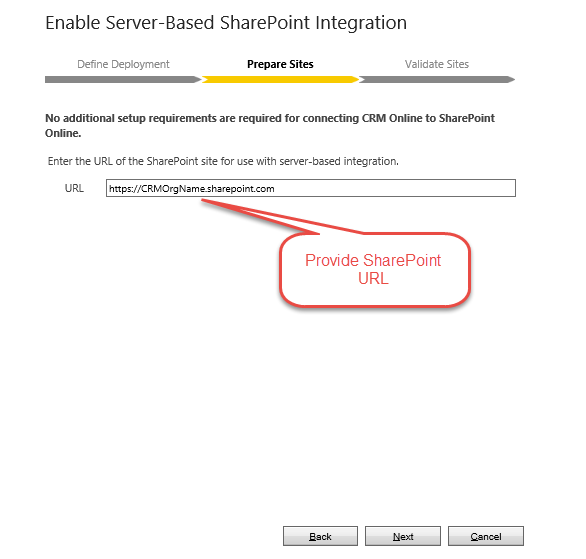 Step 14: Provide SharePoint URL and Click Next. 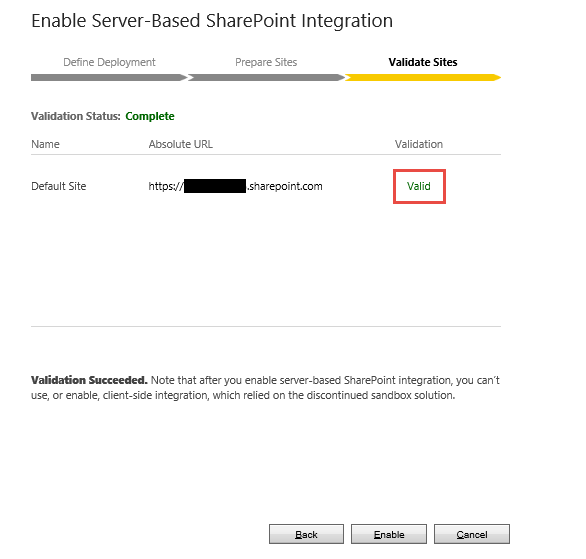 Step 15: Once the SharePoint URL is valid. You can see the Validation Status as Complete. Click on Enable. 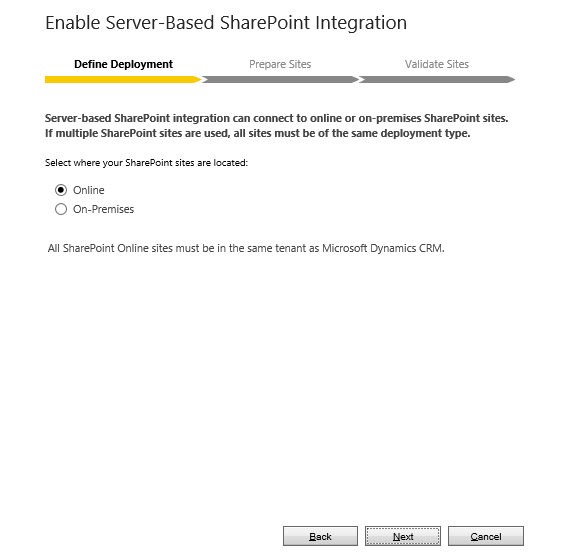 Step 16: We have Succesfully Completed Server-Based SharePoint Integration. Select Open Document Mangement Settings Wizard, and click on Finish. 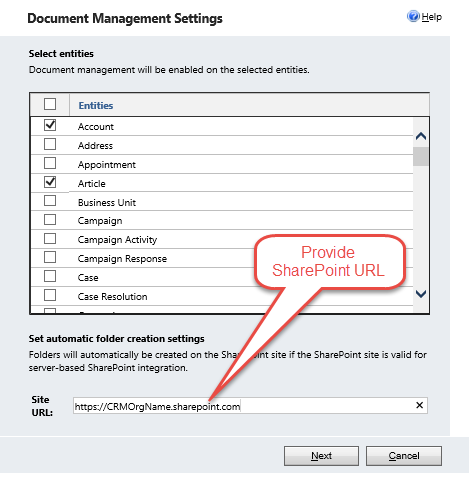 Step 17: Select the required Entities that you want to store Documents, and provide SharePoint URL. Click Next. Step 18: If the site URL is valid then you can see the below status. Select Based on entity to create folder structure based on each entity in SharePoint. 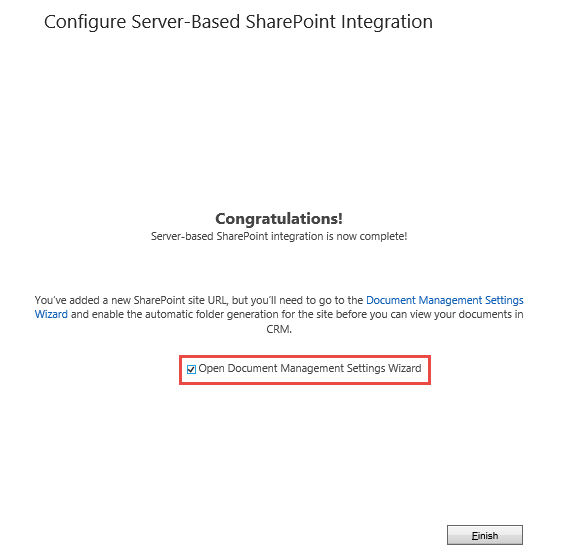 Step 19: Click on OK to create Document Libraries in SharePoint. 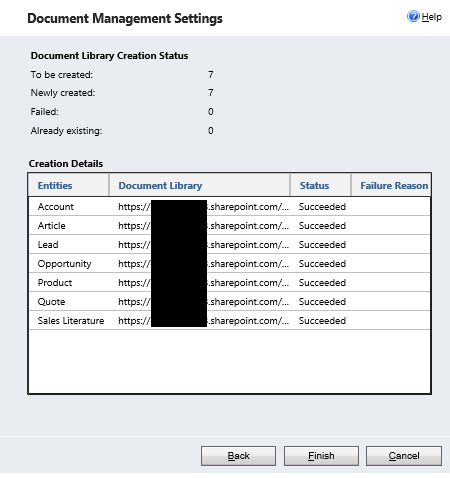 Step 20: Document Libraries created in SharePoint. 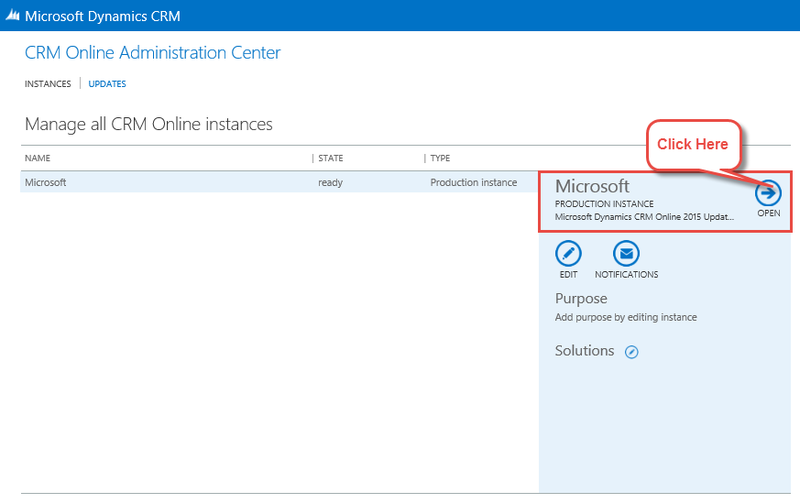 Click on Finish to complete Integration process between SharePoint and CRM Online. Step 21: Goto Account entity and open any existing account record to test SharePoint connectivity. 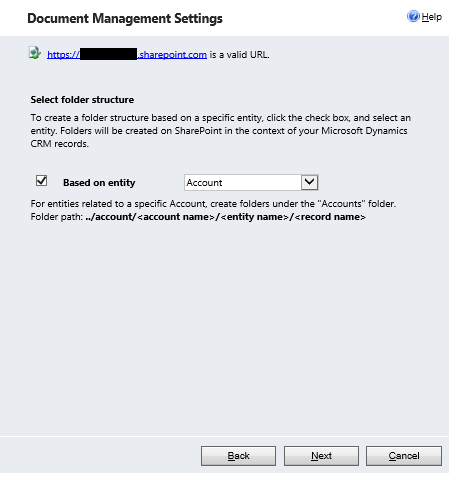 Step 22: One you click on Documents, you can see the below message for the first time, stating that it will create a folder under Account à ArunPotti (account record) in SharePoint. Step 23: Once Folder created successfully in SharePoint, you can see the below SharePoint Documents Grid. Click on UPLOAD to upload any document. Click on OPEN SHAREPOINT, to see the documents associated to Account (Arun Potti account record) in SharePoint. Uploaded a Sample Record that we can see here. Step 24: Click on Site Contents to see the folders structure for each and every entity. Hope you have successfully Integrated Microsoft Dynamics CRM and SharePoint online. You can use the following CRM voice commands with Cortana if you’re using Cortana on Windows 8.1 phones. 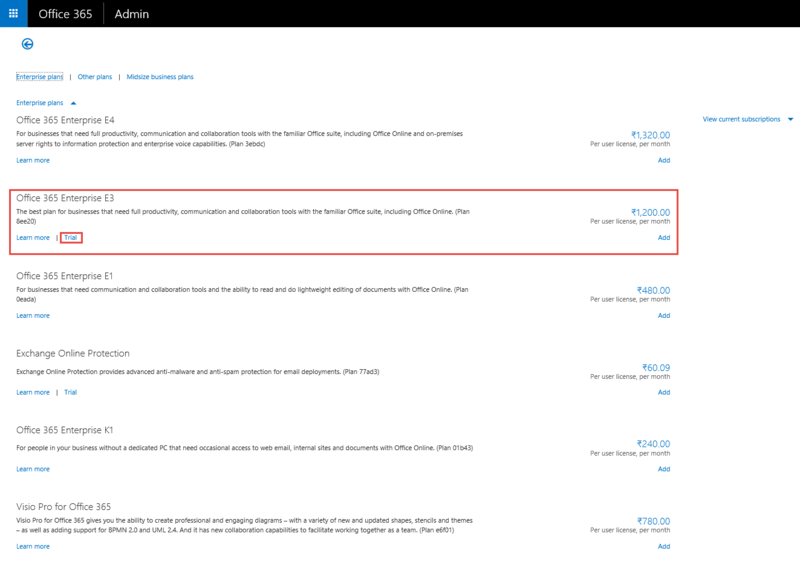 Cortana voice commands for CRM are only available in English at this time. 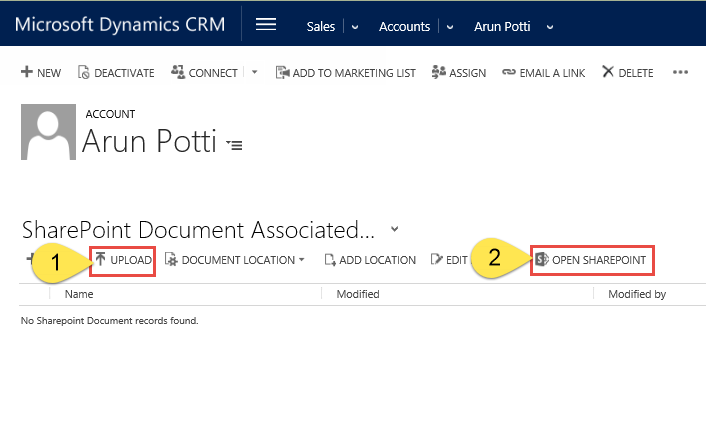 The create commands work only with Microsoft Dynamics CRM 2015 and Microsoft Dynamics CRM Online 2015 Update. The other commands work with Microsoft Dynamics CRM 2013 and Microsoft Dynamics CRM Online as well as Microsoft Dynamics CRM 2015 and Microsoft Dynamics CRM Online 2015 Update.